Blondie and Brownie: I’ve Been Baking . . . Challah! It’s fall. It’s chilly. And I’ve been baking . . . challah! I love challah. So soft! So pillowy! So incredibly delicious! And warm challah? Well, that’s about as awesome as you can imagine times a million. The thing is, it can be hard to find really good challah. In my experience, unless you have an awesome bakery in range, the store bought stuff can be kind of stale and expensive. Challah might look intimidating, but it needn’t be, especially if you’re armed with a great recipe. 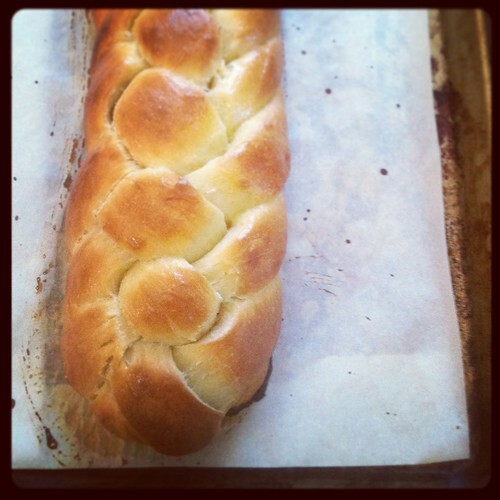 Molly Yeh pointed me in the direction of Ima’s Challah via Food 52 and it is glorious. 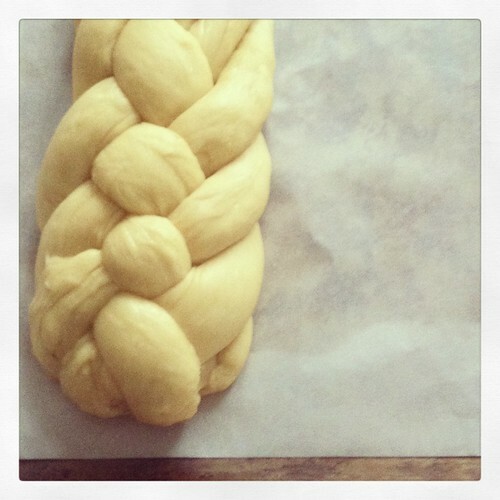 Check out this post from The Shiksa Blog for some great braiding instructions. I’ve tried a few different braids now and the six strand is my favorite. And I have to say there’s something super satisfying about making bread from scratch. I find the kneading and shaping soothing. Wait a few hours for it to rise and *boom* you’ve got bread. The only problem with challah is you’ll want to eat THE WHOLE LOAF. There will be no leftovers for French toast or stuffing or bread pudding. You will eat is ALL. Oh, and did I mention that the recipe makes two loaves? Yeah. Best advice I can give you is to give one to a friend. Share the love.